We can consider retainers as a very important asset to correct teeth of patients that want that beautiful smile they dream of. According to most dentists, retainers are one of the best treatments to straighten the teeth. Let’s have closer look at some of the reasons on why you should use retainers. Just like a tip of an iceberg, a retainer comes with many benefits for patients that opt to use them. Just to name a few, retainers can help to correct numerous problems related to speech and biting. One important guideline to get the most out of your retainers and squeeze until the last drop of benefits is to follow your dentist’s instructions in every step of the treatment. What are some conditions to use a retainer? 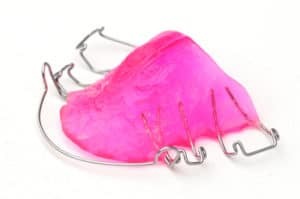 We already know that retainers are used as solution to treat crooked teeth but we have to understand that they are the last part of a huge process. For a patient to us retainers, they have to undergo first for braces. This is because after the braces are removed, the teeth can shift back to their previous crooked position. So retainers are a must for patient that go for a orthodontic treatment. Most of the most successful dentists in Los Algodones recommend to their patients to use their retainers when going to bed at nights to create a routine that helps to maintain the teeth straightened teeth. In some specific cases they suggest that they use their retainers for longer periods of time. Studies made by some universities report that straight teeth are easier to clean. This helps to reduce the chances of plaque building up and reduce the chance of getting cavities, gingivitis and such. 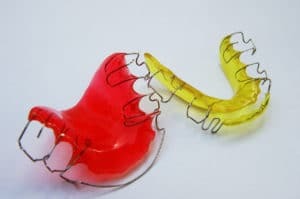 Retainers also correct the patient’s bite, helping them to chew and bite food, avoid self-injuries and conditions lake aftas. And thanks to all of the above, the body increases the saliva production, helping us to create more digestive enzymes that cut down the plaque. This decreases the chances of suffering dental caries and other nasty dental diseases. Wearing retainers every day will help your teeth to get perfectly aligned. But that isn’t all the got to offer, they also help to reduce the chances of suffering from other diseases too. One of the conditions you can avoid suffering for wearing retainers are diabetes-related ailments, another point for retainers! A good advantage that is often overlooked is that retainers also can help to improve breathing. According to some experts in the area, apart from helping straighten the teeth and align the jaw, retainers get rid of snoring at night. So using them by night when sleeping is is a good idea to solve your breathing or snoring problems. You can even ask your dentists for a special retainer to address this matter. Among others studies for retainers, they reveal that the use of retainers can help to solve speech problems due to the fact that they adjust the tongue placement. This allows the patient to perform sounds correctly as they speak. This is why dentist recommend retainers on kids as they are growing up and developing their vocabulary. It may sound daunting to get into the habit of using your retainers every day. But allow us to teach you some neat tips that will help you to get used to it pretty fast. Buying a big case for carrying your retainer will make losing them pretty difficult for you. To help your kids on this, get them one of their favorite color, or put some stickers too with their favorite cartoon characters. Another trick to get your kids pumped up to use their retainers is to encourage them by giving them rewards like treats. Think of it like the tooth fairy, you can put some money below their pillow. You can reward them preparing their favorite breakfast, that one works like a charm.